MOTIVATED SELLER BRING OFFER!!! 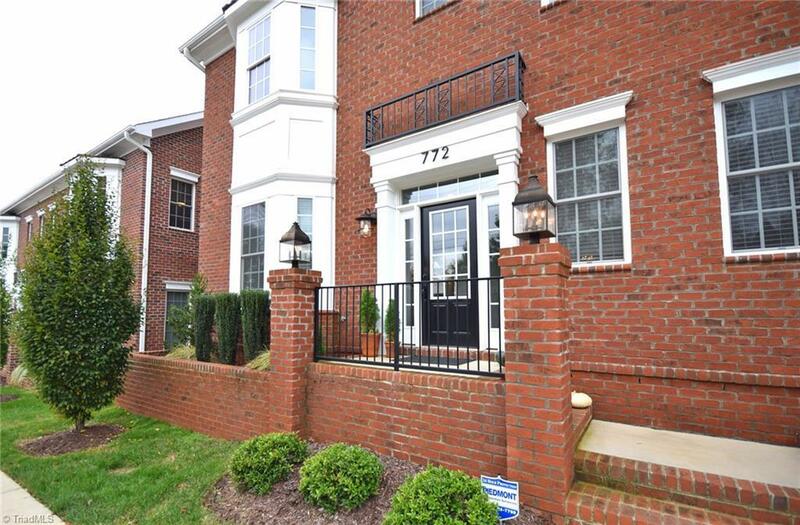 Stunning light filled townhouse walking distance to old Salem in minutes from downtown. Pristine condition and beautifully finished throughout. Large main level master suite. French doors leading from great room with cathedral ceilings to a charming patio. Two guest bedrooms on upper level. Two car garage. An exceptional downtown offering! Sold by Allen Tate Winston Salem-Cherry St. Listing information © 2019 Triad MLS, Inc. All rights reserved. Listing provided courtesy of Wilkinson Era Real Estate. Information deemed reliable but not guaranteed. Listing information © 2019 Triad MLS, Inc. of North Carolina. All rights reserved. The data relating to real estate for sale on this web site comes in part from the Internet Data Exchange (IDX) Program of the Triad MLS, Inc. of High Point, NC. Real estate listings held by brokerage firms other than HergGroup Carolinas | Keller Williams Realty are marked with the Internet Data Exchange logo or the Internet Data Exchange (IDX) thumbnail logo (the TRIAD MLS logo) and detailed information about them includes the name of the listing brokers.IDX information provided is for consumers' personal, non-commercial use and may not be used for any purpose other than to identify prospective properties consumers may be interested in purchasing. Information deemed reliable but not guaranteed. Data last updated 2019-04-20T20:30:27.23.